For Alcohol blue is fuel to engine, red is returned fuel, yellow is optional returned fuel. -- Alcohol fuel system components Metering valve ( barrel valve ), Main jet ( pill ) is installed in the metering valve, High speed by pass, Port nozzles, Pump relief valve (most alcohol systems should have them), Idle check valve, 3 way shutoff, Fuel Pump most big cubic inch engines use a 110 fuel pump, some big cubic inch - high boost - high house power engines use a 990 fuel pump. Minimum main fuel line size for alcohol is -16 or 1". Fuel return lines must discharge at opposite end of fuel tank from main fuel line pick up. Fuel tank must be vented. MAIN This bypass jet controls the fuel mixture at full throttle and has little to no effect on idle. The bypass pill is located under the 9/16 hex plug on the metering valve. Use a smaller bypass jet to richen the fuel mixture and a larger bypass jet to lean the fuel mixture. When installing the bypass jet make sure that it is seated at the bottom of the threads. IDLE-Fuel the idle mixture is controlled by the turnbuckle on the side of the injector. 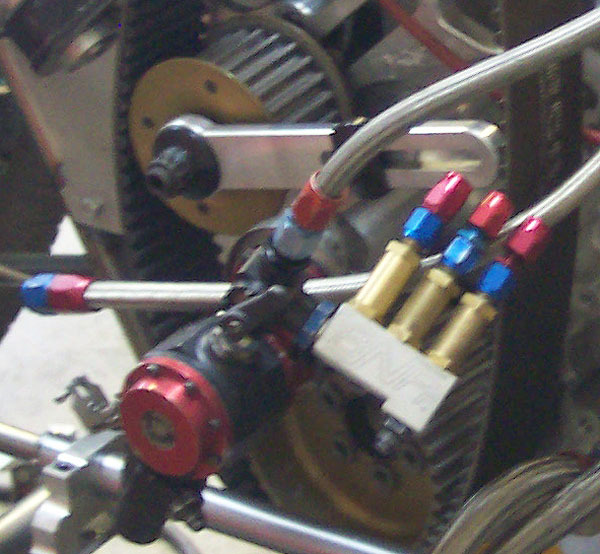 To richen the idle rotate the turnbuckle towards the rear of the injector ( shortening the linkage leans the mixture lengthening richens the mixture). This adjustment is for idle and throttle response only and has no effect on full throttle. HS some applications require the use of a hi-speed lean out. 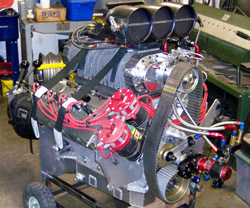 This consists of a bypass jet controlled by a high pressure check valve which leans the fuel mixture at high rpm. 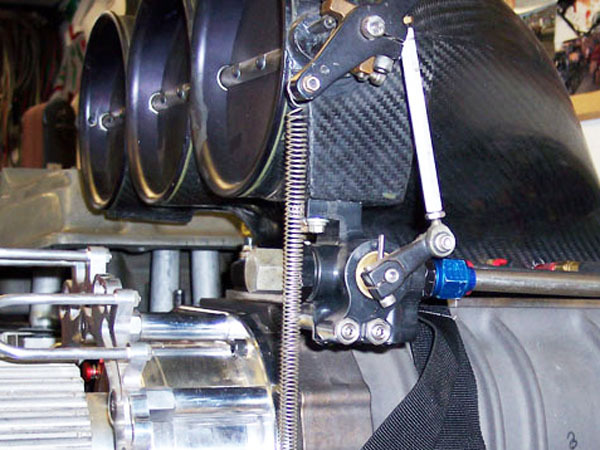 The check valve pressure is adjusted with shims to tailor the fuel curve to the engines requirements. The check valve opens when the fuel pressure is able to overcome the spring tension. The bypass jet controls the volume of fuel returned. Adding shim will make the check valve open at a higher rpm. Removing shim make the check valve open at a lower rpm. The hi-speed should be thought of as a fine tuning device. 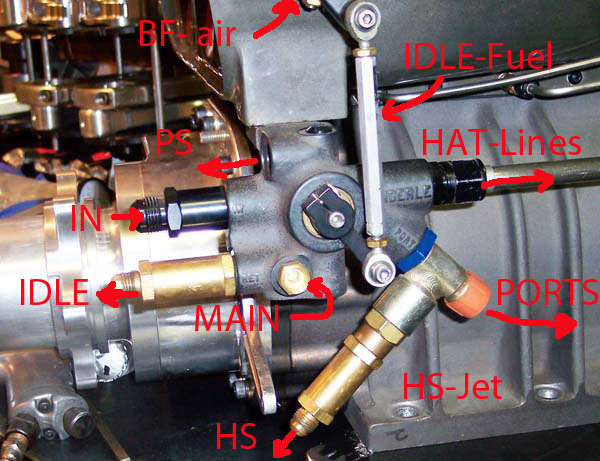 The main bypass jet is the primary control of the overall fuel mixture. to clean up the fuel system a distribution block can be added to the pump, the check valves can be mounted at BV or at tank or joined in this distribution block, pump loop can be added here also.